The beauty of technology is that it can bring people together over great distances. It can also bring people and animals together—specifically, you and the insanely adorable sled dog pups that reside at Denali National Park & Preserve in Alaska. The dogs have been part of park tradition pretty much since it was established in 1917. Harry Karstens, the first superintendent of the preserve (back when it was Mount McKinley National Park) was an experienced dog musher who first employed a team of canines to get around. Since then, the kennel has continued to provide valuable transportation—helping rangers to patrol, carry supplies, and create trails, even in the biting cold. They’re a particularly valuable resource as the federally protected area does not allow motorized vehicles. But before they can get to work, they need to grow up. A new litter was born at the end of July, and thanks to the park’s Puppycam, you can check in on them whenever you like. 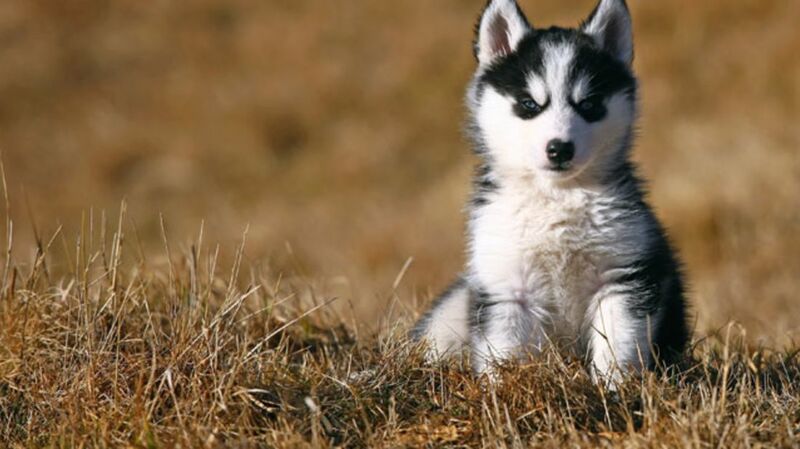 The tiny huskies—Happy, Party, Piñata, Cupcake, and Hundo—were festively named in honor of this year’s National Park Service centennial. Jennifer Raffaeli, the park's kennels manager, told CBS Sunday Morning: "We always joke that they're the happiest government employees you’ll ever meet." Based on a few minutes of webcam footage, we think that seems about right. For even more sled pup goodness, check out Denali’s dog blog, meet the pooches online or in person, and even consider adopting one once their government service has come to an end.